What is a Parking Licence Plate Regonition (LPR / ANPR) system? 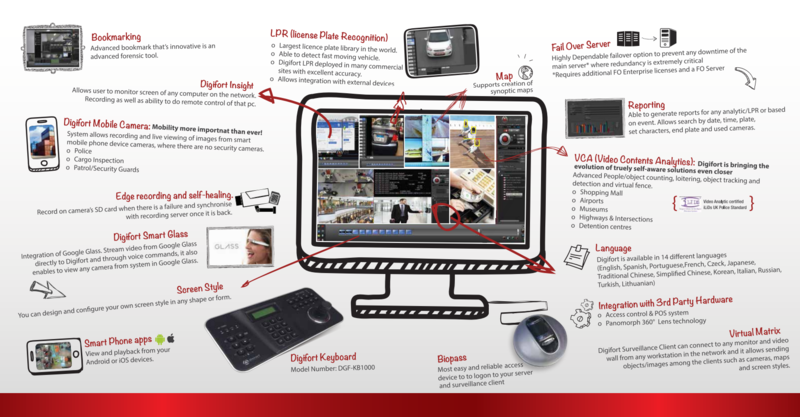 Digifort LPR is an intelligent electronic module, that uses OCR capabilities for automatic recognition of vehicles’ plates. 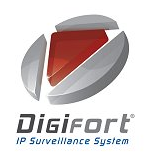 Digifort LPR allows you reliably identify vehicles with restrictions (stolen car, not licensed, unpaid fines, etc…), alerting the authorities when they´ve passed through inspection, allowing immediate action such as seizure of the vehicle, surrender of passengers and any other action. When passing by the camera, Digifort LPR get a photo of the vehicle´s plate, registering it on a images database, with date, hour and camera information, allowing a lot of consults and a more effective traffic management. The system works in two ways: With Physical Sensor or with Virtual Sensor. The virtual sensor is triggered by the motion detection of the automobile, the system recognizes the plate of the vehicle when it passes in the designated area of the camera. The virtual sensor eliminates the use of accessories that initialize the plate reading, but virtual sensor require more processing of the server. With the physical sensor, you will need to use a infrared sensor or a inductive sensor placed on the track to the detection of the car. Its also needs a Ethernet I/O module connected to the sensor, that will delivery automatically the signal to Digifort, that will read the plate. In physical sensor option, the server will be required less and will can process more plates that in Virtual Sensor case. 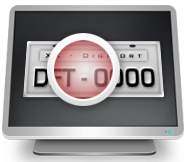 Digifort LPR can be used on highways, streets, car parks, shopping centres or any place where its necessary to identify the plate of the car. 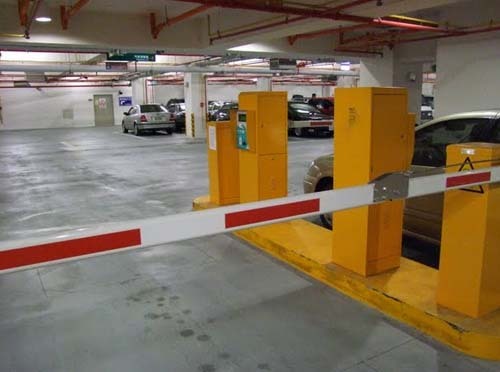 You also can automate gates and locations where only authorized cars are allowed entry.